• Remain calm and first move beyond the snake's striking distance. • Keep calm, panic will make the adrenaline come in picture and the blood circulation will increase, only resulting in causing the venom to spread much quicker. This is excellent advice in an excellent answer, and I don't question that keeping calm is the thing to do, but I'd like to know exactly what is meant by "keeping calm" and some advice on how to keep calm. Obviously, I should not start screaming, running around, and flapping my arms, but I assume "keeping calm" means more than not behaving hysterically. And what can I do to achieve a calmer state? And why is part of the answer not Xanax, if I happen to have it with me? Eventually some part of your brain is going to start thinking, "Holy (expletive), Rattlesnake! I'm gonna loose an extremity! I'm gonna die! What's going to happen to my family? Why did I even come on this (expletive) trip? OhGodOhGodOhGodOh...."
Then another part of your brain is going to tell the first part to stop thinking like that, it is not constructive. Then the first part is going to reply back, "Up yours!" and go on thinking those thoughts. The more you try to tell yourself not to think about something, the more you are going to think about it. Ever have a musical ear-worm? The trick is to not try to tell yourself not to think about the bad things, but instead tell yourself to think about something else. Tell yourself to think about what you need to do now to get proper care and treatment. Tell yourself to think about what you will do to celebrate your recovery. Tell yourself to think about something mundane, like your job or your favorite TV show or that hobby project you've got going. Don't try to force out the panicky thoughts, just allow the other thoughts to replace them. If all else fails, use breathing. Inhale. Exhale. Inhale. Exhale. Feeling calmer yet? Works every time. This is a great question. And cobaltduck gave a great answer. I teach martial arts, and often the way we teach to calm the mind is by controlling the breathing. Meditation is always the answer: nothing is gained by panicking. We have many sayings in life, like "Look before you leap", "Think before you do", etc. And that's easy to say, not so easy to do. For many, the problem is exacerbated by the snake itself - venomous or not. Ophidiophobia is one's worst enemy. Having said that, breathing calmly and not thinking bad thoughts is a learned and practiced skill: you can't expect someone with no practice to do just that. Therefore, in your first aid classes (we outdoors people DO study first aid, right? ;-) part of your practice on tying square knots, splinting broken limbs, stopping bleeding, and starting breathing and hearts, should also include exercises in breathing exercises. Those who are in traditional martial arts, or who take yoga, or otherwise are well-practiced in Asian healing are usually good resources. In short, you will want to settle down as quickly as possible. Drink nothing but water - caffeine, for example, will increase your heart rate, you don't want that. Slowly breathe in and slowly breathe out - all at the same slow pace. You should not assist in your first aid, unless you are alone or the others are panicking or don't know what they're doing. The more you move, the less you can focus and reduce your heartrate. One thing you might want to focus on is the snake. Good first aid dictates that getting a picture of the snake will be important for medics to prescribe the proper antivenom. But if there is no camera, you'll have to keep a mental picture of the snake. So, look at it, verbalize what you see: the rattle, shape of the head, its length, its colors, and every detail you can see about it. Of course, if the snake is dead or gone, you should focus your efforts on other things, like the serenity of a blue sky, or an ocean sunset. Maybe try to count the different kinds of birdsong you hear, or count the number of animal life about you. (And while your at it, if others are in a calm mind, they should also snap pictures or verbalize what they see as well). Again, this good advice - but useless if you don't have the practice. Take up yoga, martial arts, qigong. Or just practice meditating on your own. I remember it clearly to this day, he didn't panic, he didn't jump up and wave his now hanging thumb around everywhere, and somehow it healed almost perfectly. From that on, any time I've been in any kind of emergency I've managed to just stop, breath, look around and plan my actions. I've managed to do this when people have fainted in nightclubs, the time I sliced my own finger down to the bone while cutting flapjack, my sister having a diabetes induced fit or the time my mum slipped down two steps and broke her ankle. While I don't suggest you do any of these things, what I think has prepared me the most is the fact my social anxiety has caused me to play these, and many hundreds of other weirder situations through in my head, over and over again, considering what I'd do in each one and allowing it to play out. So, if you can simply think the whole situation through, possibility making it more 'real' via meditation helping to imagine the whole thing, and in fact practice increasing and decreasing your heart rate, and remaining calm, on demand. 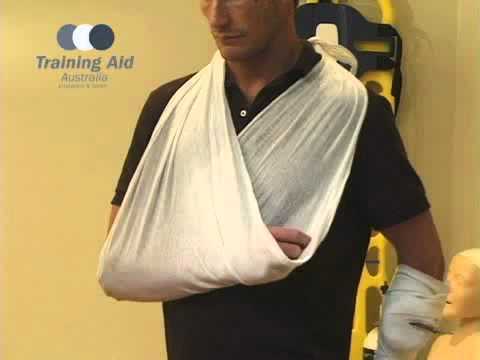 The most important thing I learn when I attend first aid courses is not the treatment of the injury, but knowing what to do encourages calmness. Staying calm helps you make better decisions about how to deal with the situation and usually keeps the casualty calm. In the case that you are the casualty, why should things be any different? When I broke my leg on a trampoline1, I screamed. Twice. But then the first aid training kicked in. I wasn't in any immediate danger, so I stayed where I was. The bones had come through the leg and it was bleeding, so I applied pressure. I needed an ambulance, so I called for help. By the time a first aider was applying bandages, I was lying back and concentrating on breathing slowly and for the most part, this extreme physical trauma was comparatively, psychologically trauma-free. He was on an unstable trampoline, so I asked others to put mats underneath to keep it still. He needed an ambulance, so I called for help. By the time the paramedics arrived, he was lying back and concentrating on breathing slowly and we were talking about his new phone. Admittedly, my first aid training has never covered snake bites as I live in the UK and they're not a threat, but when a new activity poses new risks, I made an effort to ask somebody who does know what they're doing to give me a quick list and the basics of how to deal with it. However, to answer the part of the question: And why is part of the answer not Xanax, if I happen to have it with me? Particularly with venom, I wouldn't take any drugs, I have no idea how they'll react with one another. If both the venom and the drug were muscle relaxants for example, I have a feeling your heart may stop sooner! 1. We were both, thankfully, in a controlled environment with lots of people to help. As a trampoline coach, I think garden trampolines are the devil! Don't use them! Meditation has been mentioned, let me expand on it. There are certain techniques of meditation (namely Vipassana) which are in no way mystic or magical, but work quite like a sort of maintenance for the mind. While they are obviously employed a lot in Buddhism, they have at their core no religious/mystical background whatsoever, and they do "work" no matter whether you believe in anything or not. The point is not to sit down to meditate right after getting bitten by a snake, but to do the meditation as part of your regular life, at least for a while, like going to a gym to train your bodily muscles. After some time, you will learn to consciously notice what your mind is doing, while it is doing it. You will be able to notice when your thoughts are running away, you will notice when you are agitating yourself and so on. You will be able to recognize fears etc. arising, and let those pesky feelings "pass through" without harm (to a certain degree, you are certainly not expected to become a monk and sit in a cave for 15 years just to survive a snake bite). The great thing is that if your live gets busy and you don't have time for regular practice anymore, whatever you achieved stays with you (like being able to ride a bike). I would suggest this short series as a gentle (western, non-spiritual, non-religious, practical, no-nonsense, no-money, no-person-cult) introduction: How to meditate. Ignore the orange robe and give it a try, you might be surprised by the experience; and you will be that much more prepared for your next rattlesnake. I don't know if this helps, but when I have time to daydream I often intentionally run through awful situations in my mind, embracing as much anxiety as possible (it's a curse) and imagining a good response. I find that this helps me when things actually happen. I've had tangible results with this: One scenario I used to run through often is what I would do if the brakes on my car failed. One day, while driving through NYC, my rear brakeline popped in dense high speed traffic. As I mentally practiced, I downshifted, hit the hazard lights, and used the parking brake, no issues, no panic. Catching myself on a scaffolding collapse was another tangible success; this technique has help me developed a habit of always having response plan when in physically dangerous situations. So, for example, when I climb on things I make a mental note of the nearest stable thing I can grab, and the second nearest thing if that fails. Experience is even better, of course (for example, a paramedic I know has seen so many rough situations that if he finds himself in any, he naturally remains calm and knows what to do -- he understands the difference between real dangers and panic, and remaining calm is second nature to him), but the technique I just described is meant to help me in new situations that I have never been in before. I've also found that it helps me think coolly in situations that I haven't mentally run through in the past, as a side-effect that I cannot explain. In fact, you asking that question here is a form of you doing this. I have asked similar types of questions in the past for this reason. I think in situations like this, the root of panic is the fundamental sense of not knowing/understanding what's going to happen. I find that minimizing some of the unknowns ahead of time helps to naturally reduce the panic. Call for help - 911, if there's other people in the area have one of them call 911, whatever's going to get paramedics to you the fastest. 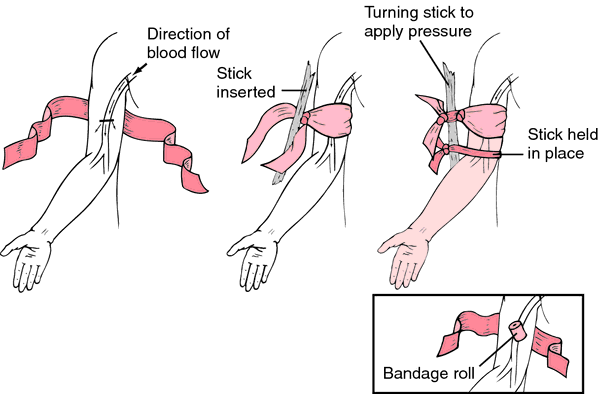 Get something that can be used as a wrap- ace bandage if you have it, otherwise tear a strip of cloth from your clothes, etc. The longer the better. Wrap the bitten limb, starting at a spot above the bite and moving toward the end of the limb (they call this axial to distal). E.g. if you're bitten in the calf, start at about the knee and wrap toward the ankle. If there's someone else around that can do this for you so that you don't exert yourself as much, that's better too. The important thing is that this is not a tourniquet. Tourniquets are to cut off blood flow, which can cause more complications in this instance. Snake venom travels through the lymphatic system as well as the bloodstream, and lymphatic vessels take less pressure to cut off than blood vessels do. The purpose of the wrap is to close the lymphatic vessels and squeeze the contained venom away from vital organs. Knowing these steps by heart and being able to run through them in the case of a snakebite will help keep you focused and therefore calm. There are two things you can focus on depending on your immediate needs. The key is to focus on the tiny tasks. Leave the bigger ones for later. If you have little to do, or don't have the strength to do what needs doing (and have already called for help). Then you start with 1, 2, 3, 4, out, 2, 3, 4, in, 2, 3, 4, out, 2, 3, 4. You just sit down, lie down, what ever you need to do and focus on breathing and counting. Just keep focusing on it. Along the lines of existing answers to breathe or meditate, I prefer "The Litany Against Fear". Breathing alone does not divert the mind for long, so it's necessary to add something else. Repeating aloud something like the Litany Against Fear makes you focus enough to divert the part of your mind that gets panicky but is repetitious enough that it does not require the same push of focus. The rhythm keeps you doing it and helps to keep you breathing. Also, it does not so completely occupy your mind that you cannot perform other physical tasks, like tending wounds, driving, etc. Other litanies, mantras, poems, etc, probably work just as well--the trick is that you've got to actually know it to begin with, because you cannot be struggling to remember it. Returning to a calm state is aided by knowing what to do for a given event. Knowing the actions required to deal with any situation allows the brain to focus on acting on those steps vice panicking. How quickly this occurs depends on the amount of time spent learning, practicing, and actually dealing with the event. Given enough experience your reactions are automatic and panic will not occur since you are busy taking action. Given enough experience in dealing with rattle snakes you can probably take action to avoid being bitten in the first place. I'd like to know exactly what is meant by "keeping calm"
It quite simply means that because the venom is in your blood stream, activities that cause your heart rate to increase will consequently cause the venom to spread around your body faster, reaching critical areas much more quickly. The obvious solution is to restrict blood flow as much as possible without cutting off circulation. This has been mentioned by pretty much every other answer here. Think calm thoughts and make a conscious effort to calm yourself. 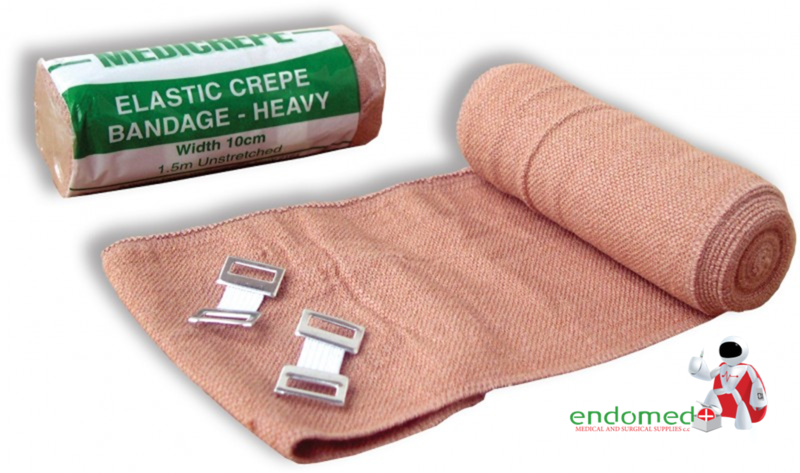 A crepe bandage is a form of elasticated bandage, intended mostly for wrapping sprains, but due to the elastication it will constrict the blood vessels, restricting and therefore slowing blood flow. Start wrapping at the bite area, then bandage down the limb and continue back up the entire limb over and above the bite area. Warning! Note that this is not an arterial tourniquet (which cuts off blood flow entirely), as this can cause additional complications by restricting the venom to the limb. Raise the bitten limb above the level of your heart, if possible. Bitten legs should be raised when lying down, and bitten arms can be put in a sling if you need to move. Again, this helps to slow the rate of blood flow. Updated: according to ems1.com, "Logic suggests that if the bite produces mostly local damage you would want to elevate above the heart to help prevent or decrease edema and additional tissue damage; but if the bite is producing systemic symptoms like shock or bleeding then perhaps the bitten part should be lowered to decrease venom absorption. Or perhaps the best bet is to keep the involved body part level with the heart. That may be the most logical position because we may not be able to determine if the bite will progress one way or the other." If the bitten person (yourself or anybody else) looks like they will lose consciousness, you should put them into the recovery position. This is the main cause of death in many viper bites. It can occur within a few minutes of the bite, with abdominal pain, explosive diarrhoea, collapse and a spike in blood pressure. If it is due to hypersensitivity to the venom, rather than to its toxicity, these symptoms may resolve spontaneously in half an hour. If you plan to go hiking or camping in snake country, be sure to familiarise yourself with all the risks and recommended medical approaches beforehand. This can vary from place to place, so it's a good idea to check local sources. You can also find a generalised overview of snake bites and a handy list of 10 things not to do for a bite victim (at the end of the article). Ignorance often breeds (uncontrollable and unnecessary) fear. It doesn't take much to learn about the significant dangers (and how to deal with them) in an area you will visit. Facts such as (in Southern California low desserts) no rattle snake bitten victim has ever died. (One exception concerned an "imported" rattlesnake) (In a similar vein, on average, from Alaska to S Mexico, only one person per year dies from shark attacks.) Many/most? venomous snake bites are "dry." The snake does not waste metabolically expensive venom and often the first bite is dry because it is not trying to kill you (you're not a food source) it's trying to escape from you. An angry snake, one that has been threatened for a long time - usually by an inebriated ignorant younger male person is a different matter - the snake will chew and inject all its venom, understandably so! (The boomslang was considered to be harmless until 1953 because so many people had been bitten without any symptoms. If you are not a small person (baby, child) and/or do not suffer allergies and/or are not decrepitly old, you have little to worry about. When it comes to not panicking, think about all the positive aspects that you can derive from knowing the "statistics" as above. From a few years of instructing people to (enjoy) scuba, I have found that telling people to be continually aware of and to control their breathing simply does not work. The breathing rate/quantity response with its positive feedback on breathing too fast/too deeply (essentially you are lowering your CO2, thus raising your pH to which your autonomic response is to feel more panicky and breathe even more so. In a situation, briefly take note of your breathing, is it too fast? too deep? too shallow? Don't "think" about your breathing continuously, your body is pretty good while your brain is in automatic. Look and concentrate on some smallish and slightly complex object that you can pick up to investigate, feel, smell etc. Use as many senses and as narrowly as you can. Humor (even dark humor) works. When I see a big shark, I look to see "how fat" it is. Fat = not hungry! (I hope) (They are or at least have all been not skinny so far.) In many situations I repeat the "mantra" - Rule # 1 Don't panic, Rule # 2 Don't panic, Rule #3 Don't panic, Rule # 4 OK you can panic now. Many people only panic if they have a receptive audience - it is a disguised plea for help. Be aware that "fearless" people are NOT courageous. They are usually ignorant. Fear and its display is not something to be ashamed of. A courageous person overcomes their fear. Sometimes if there are timid people about, it is good policy to hide your fear and/or the cause of your fear because you don't need additional problems (panicking companions) to have to deal with too. Excuse the crude grammar, punctuation, syntax, lack of references, non extant editing, split infinitives, post sentence prepositions etc - I have got too many other things to worry and get panicky over, at the moment. Not the answer you're looking for? Browse other questions tagged first-aid rattlesnakes or ask your own question.